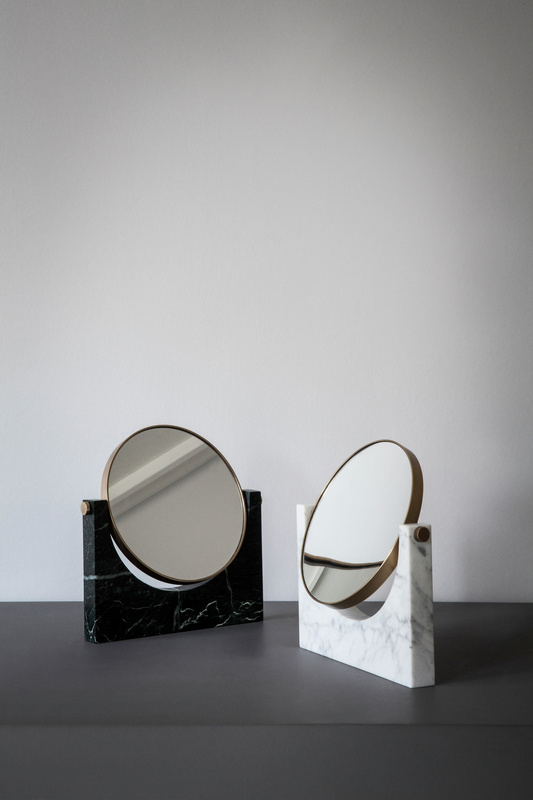 Milano based multidisciplinary Studio Pepe have created a new mirror for danish lifestyle brand Menu. 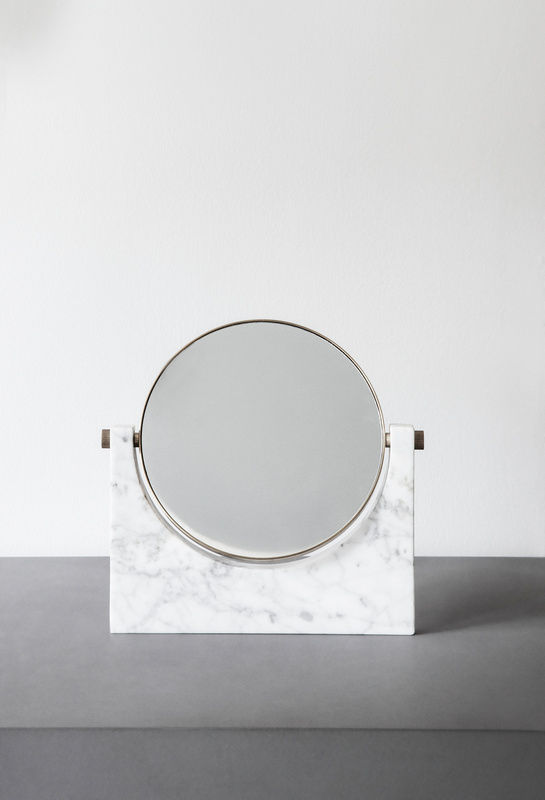 Called Pepe Marble Mirror the table mirror comes in 3 types of marble (white, black & green) and sits on flexible bolts on the marble chunks. 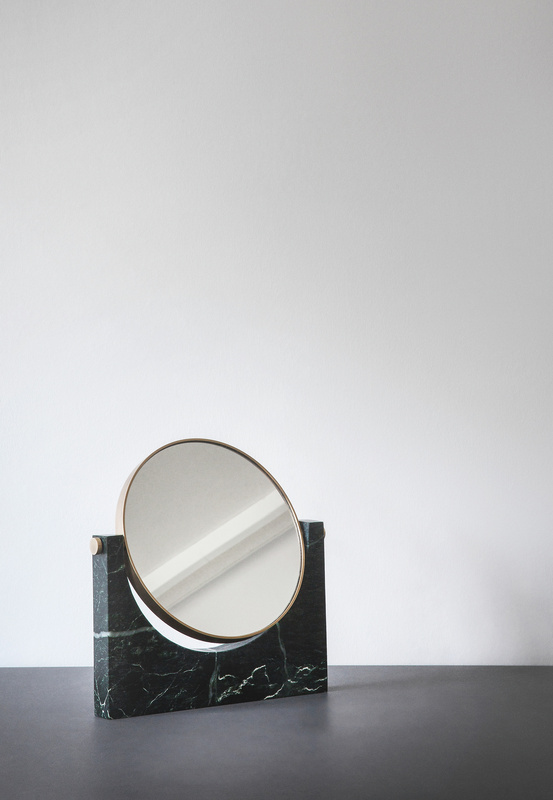 This way the mirror can be turned in all directions. 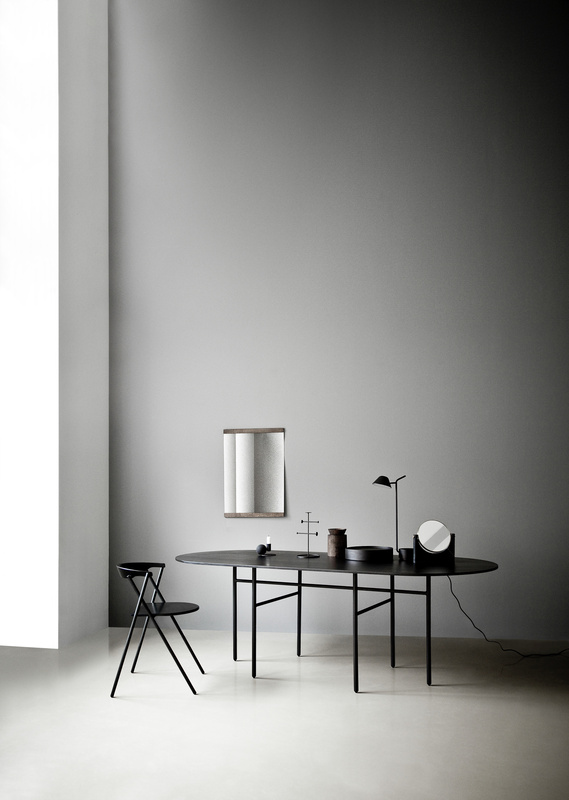 The mirrors are very sculptural and have a simple graphic aesthetics to them, which fits into most modern homes. 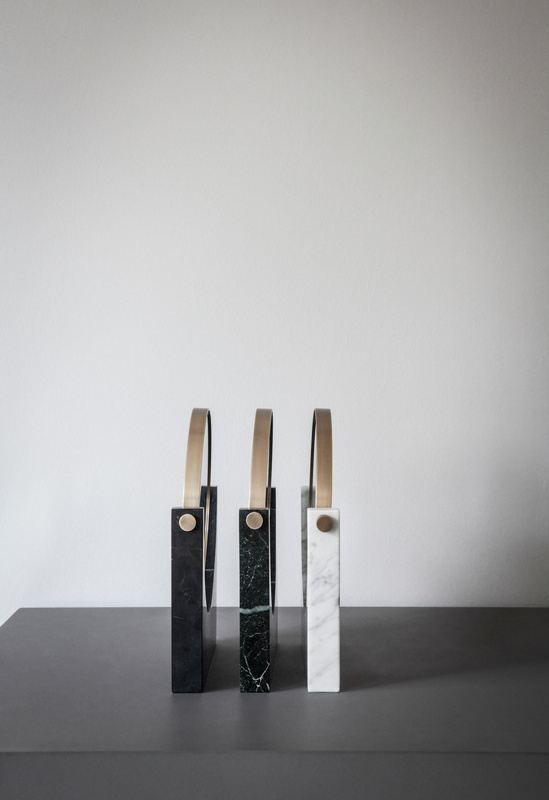 Studio Pepe was founded in 2006 by Arianna Lelli Mami and Chiara Di Pinto and works within styling, interiors and product design.